At Twinson Electric, we strive to help each of our clients keep every part of their electrical systems in the best condition possible. Our professional electricians offer a wide range of electrical services to both commercial and residential clients, and no matter what kinds of services you need, we'll be able to provide you with high quality workmanship and professional customer service. Whether you need electrical repairs, maintenance services, or installations, our master electricians will be able to do whatever it takes to keep your electrical system in great shape. All of our Ossining electricians are licensed professionals with extensive training and experience, so we'll always be able to provide you with the best work possible. Electrical systems are complicated and often dangerous to work with, but our experts will be able to ensure that the services you need are completed thoroughly and safely. 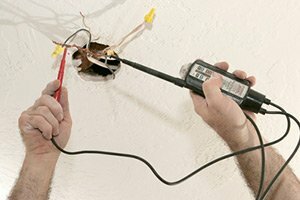 We've been providing high quality electrical services to home and business owners in the area since 1974, and we've built our reputation in that time by consistently providing our clients with great work. We'll do whatever it takes to make sure that you're totally happy with all of our work, and we'll guarantee your satisfaction with our services. Call us today to schedule your appointment for service, and we'll be looking forward to working with you. Any problems with your home's electrical system can be very frustrating, and they may cause major disruptions in your life. 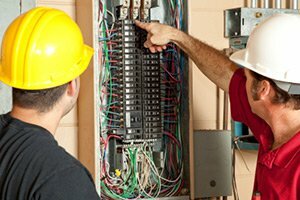 Our professional electricians will always be able to thoroughly repair any problems that you encounter with your electrical system, no matter how large or small the problems are. We'll also be able to guarantee that the repairs will be completed as safely as possible. When you're having any electrical fixtures installed, you need to know that the job is being performed by a qualified electrician who you can trust. Our expert Ossining electricians will be able to ensure that any new fixtures are perfectly installed so that they'll perform optimally and efficiently for years to come. We can install lighting fixtures, generators, ceiling fans, and more! Your electrical panel needs to be able to supply your home with all of the electricity that you use. If the panel is outdated, you may experience power failures, or your home may be at risk of an electrical fire. Our electricians will work with you to determine whether your panel meets the needs of your electrical system, then upgrade your panel as necessary. Generators are activated immediately once a power outage occurs with the use of a transfer switch that is installed. It then takes over as the energy source for your home and important appliances. 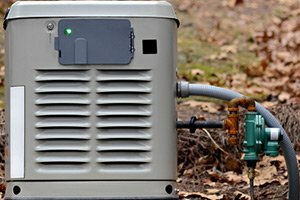 Our professionals can help you install high quality stand-by generators that will be perfectly suited to your electrical needs to any kind of power outage. Why Choose Twinson Electric as Your Electrician? At Twinson Electric, we strive to provide all of our clients with the highest quality electrical services possible. We understand how important your home's electrical system is to you and your family on a daily basis, so when you hire us, we don't take our responsibilities lightly. We'll work hard to make sure that every part of your electrical system is kept in great shape. 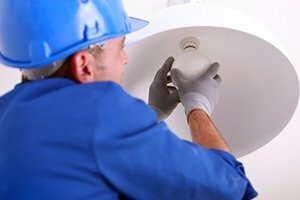 We provide a wide range of different electrical services, so whether you need ceiling fan repairs, electrical troubleshooting, or landscape lighting services, you can always rely on our experts for great work. If you are looking for an electrician then please call 914-762-4342 or complete our online request form.